Owner not opening dog cage door 4K. 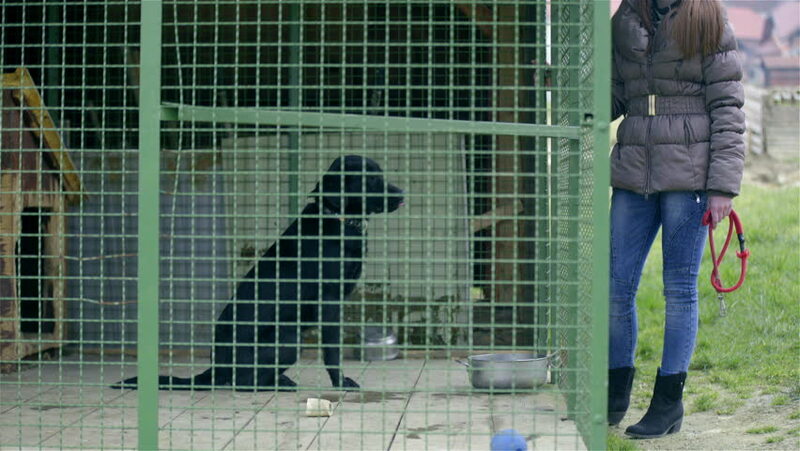 Female person learning black Labrador dog to be obedient when owner wants to take for a walk. Owner try to open door but closes if dog stands. 4k00:07Kiev, Ukraine - APR 8, 2018: Legs of little girl posing on roller-blades on pavement. hd00:18Anonymous male figure climbing up and down an aluminum stepladder leaned against a cinder block wall.